how much does it wiegh? Thanks for the question! This bag weighs about 5 pounds. Hello! This bag does not offer a compartment for shoes. Does this have a zipper compartment on side.my last bag has zipper compartment on side. From the pictures on the site, it does not appear that there will be a zipper compartment on the side. 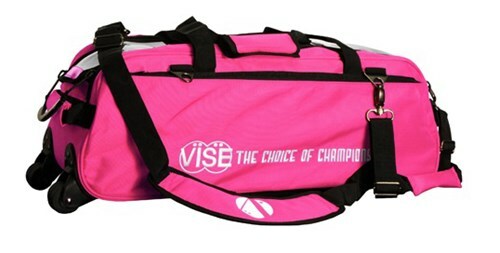 Due to the time it takes to produce the Vise 3 Ball Clear Top Roller/Tote Pink ball it will ship in immediately. We cannot ship this ball outside the United States.